One of the first places you gain weight is typically around your belly. It’s also one of the hardest places to lose fat. As you’ve probably heard, doing planks is a great way to keep your abdomen, back, and glutes tight and strong. But there are variations of this exercise that you should also incorporate into your fitness routine to get better results. The key to this exercise is to keep a proper form. If you feel your hips sinking towards the ground, get back into the initial position and readjust yourself. As you get more comfortable with it, you can increase the effects of the exercise by wearing a weighted vest or by resting your weight on one leg instead of two. 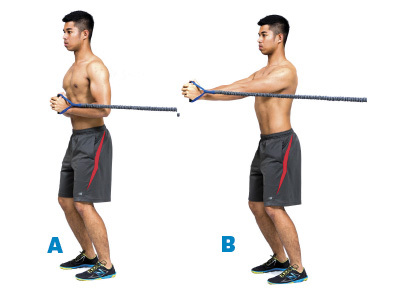 On the other hand, if it’s too difficult, modify the movement by lowering yourself onto your elbows and forearms instead of your hands. As with any other exercise, warm-up properly before attempting. Sit on the floor with your legs out in front of you and you back straight. The term core is often used in health and fitness. However, when most people think of their core, the first thought is often abs. 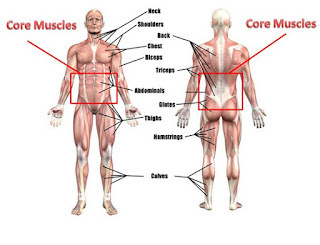 The core does include all 3 layers of abdominal muscles, as well as the muscles of the back and the muscles that surround the hip and buttocks, such as the gluteal group of muscles. 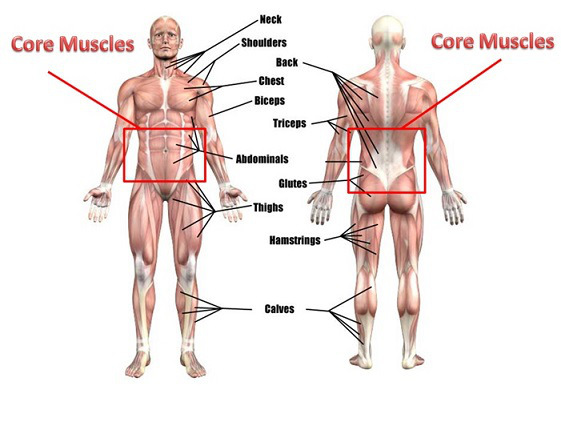 The core group of muscles can be thought of as a cylinder the supports your body. All of these muscle groups need to work in good function in order to maintain standing balance and correct posture. Do I need to do more than sit ups? Yes! Since there are more muscles involved in the core, it is great practice to focus on each of them during your workouts. Traditional sit ups are somewhat outdated, and there has been research done that suggests the repeated flexion movement of the spine that happens during a sit-up (i.e. the folding upward part of the sit-up) can be damaging to the spine. So how do I work my core muscles? Planks are a physio favourite, and for good reason! The plank works on the abdominal muscles, the postural muscles in the back and shoulder stability all at the same time. Talk about efficient. For the plank you have some options: a good place to start is using the knees and the elbows as a base. If this is comfortable, stretch your legs fully out and use either your elbows or hands to support yourself (make sure your elbows/hands are under your shoulders). Keeping your spine in good alignment (try not to let your head drop and do not let your chest sink towards the ground), think about creating tension in your abdominal muscles. If you feel your low back start to sag or your abdominal muscles tiring, take a break. 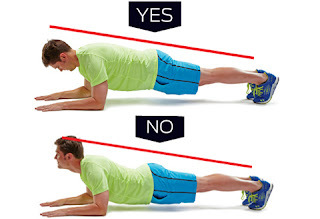 It is better to do shorter planks with good technique than longer held planks without optimal technique. The side plank is another favourite, with the added bonus of more focus on the muscles around the hip. Again, as a beginner, start from your knees and elbows as a support and find a base position that works for your body. Think about keeping a neutral spine position and a nice long line from the top of your head through your hips (don’t let your head or your hips drop). Also, make sure you are not sinking into your shoulder – try to keep pushing the ground away so you can keep a strong shoulder position. Again, if you need to take a break, do so. Short holds are a great starting point and you can start holding a few seconds longer each time as you feel your core get stronger. 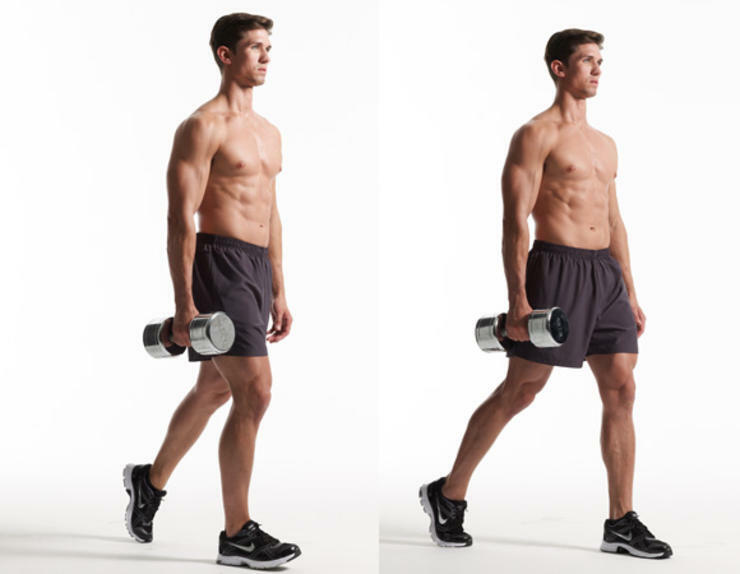 This is another good standing core exercise. Your core muscles need to be active to maintain good posture throughout the day, so doing exercises in the standing position can be helpful to train your body to do this on its own. For the carry, grasp a weight in only one hand (you can use weight in both hands, but having it on only one side of your body forces you to have to balance the weight). This weight should be somewhat challenging, but start low so your body can adjust to what you are asking of it. Stand with good posture, and be sure that your shoulders are not creeping up towards your ears and that you are not leaning to one side or the other. You should have a neutral spine position and nice tall posture. From here, keep the weight at your side and slowly and deliberately walk forward. You might feel a bit wobbly at first, but use those core muscles to keep you from losing balance. This is a simple exercise, but is great to use on its own to work on activation of the muscles around the hip and buttocks, or as a warm up before moving on to more complex lifts such as the squat or deadlift. When you are starting your bridge, make sure you spine is in a neutral alignment. You will likely have a very slight or small space between the ground and your low back as your spine does have a natural curve at the low back. Think about activating your core muscles and squeeze your buttocks to lift the hips towards the ceiling. If you add a band tied around both knees, this can help to activate some of the outer muscles of the hip, such as the gluteus medius. If you place a ball or yoga block between your knees and squeeze your knees together as you lift your hips, this will help to activate the muscles of the inner thigh. If you have any questions about these or any other core exercises, please book in with us! You’ll receive personal attention from your physiotherapist, and they can personalize your routine to address any individual concerns.